Welcome to South Bruce Peninsula & All of the Wonderful Communities Within! The Town of South Bruce Peninsula is located at the Bottom of the Bruce Peninsula, in Bruce County, between Lake Huron and Georgian Bay. 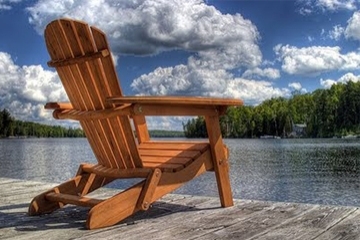 It’s no Secret that the Cottage & Tourism Industries have become the Major Industries in the Area. South Bruce Peninsula is Home to Incredible Shorelines with Stunning Views of the Niagara Escarpment, Gorgeous Sandy & Rocky Beaches, Natural Ecological Wonderlands & Superior Community Festivals (some which are known World Wide!). These are Just a Few of the Great Experiences that South Bruce Peninsula has to offer it’s Residents, Cottagers & the Hundreds of Thousands of Visitors Each Year! The Town of South Bruce Peninsula's is Located within 2 to 3 hours of Ontario's Major Urban Marketsof: Toronto, Hamilton, Guelph, Kiitchener-Waterloo and is only25 minutes from the City of Owen Sound. Bruce County’s Location Gives it the Advantage of Competitive Access to these Major Urban Markets & Offers an Affordable, Dream-Like Lifestyle. South Bruce Peninsula is Surrounded by Over 2,400 KM of Pristine Great Lakes Coastline & is the Gateway to the Bruce Peninsula for Travellers from Across Southern Ontario & Beyond. South Bruce Peninsula Offers Many Full-Time & Cottage Living Opportunities, from Stunning Stone Farm Houses to Modern High End Waterfront Cottages & Everything in Between! Understanding the Local Market Conditions of South Bruce Peninsula & It's Many Lovely Areas is Important When it Comes to Buying & Selling Real Estate. When it's Time to Buy or Sell Your Dream Home or Cottage, Call Our Team! Get an Agency on Your Side Who Has Experience with the Local South Bruce Peninsula Markets. Reach Out to Us Today so We Can Introduce You & Your Family to all that South Bruce Peninsula has to Offer!